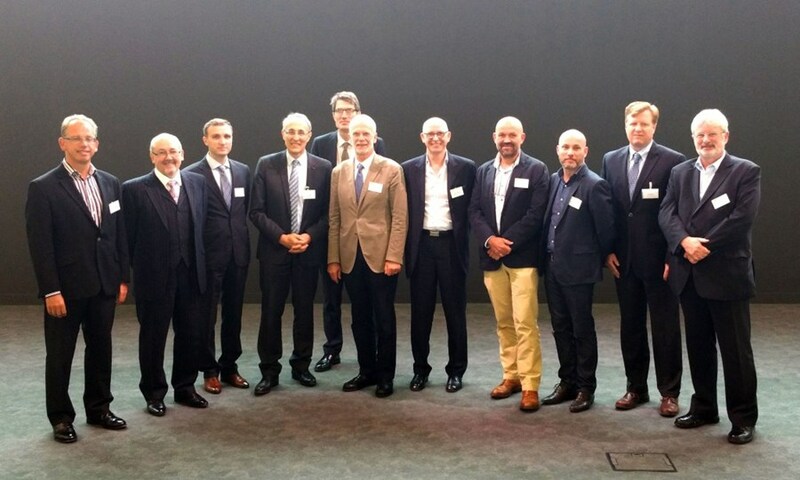 The one-day conference offered an impressive line-up of leading project managers (left to right): Harvey Maylor, Stephen Carver, Oleg Tumasov, ITER Director-General Bernard Bigot, Steven Cowley, Roberto Saban, Harley Lovegrove, Simon Addyman, Bruno Kahne, conference organizer Joe Onstott, and chairman Steve Wake. Bruno Kahne gives lectures to the deaf. He knows about the importance of body language and uses it extensively while walking up and down the stage. But Kahne, who is the Head of Research and Development at the Airbus Group Leadership University, also knows about the power of words in delivering successful projects. He asks those assembled in the auditorium to close their eyes and NOT think of icebergs and polar bears. The chemistry in our neurotransmitters works as foreseen and immediately white bears float along an imaginary arctic landscape. Laughter spreads; the trick worked. "You see," Kahne said, "it's all about communication." 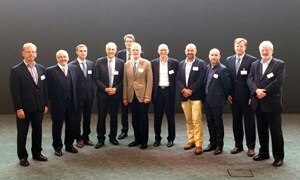 Bruno Kahne was one of the speakers at the "Fusing the Project World" project management conference held at ITER on 4 September. For the first time project management—a profession that plays a crucial role in a complex project like ITER, with its hundreds of thousands of activities and its in-kind contributions from seven partners—was elevated to centre stage in the amphitheatre of ITER Headquarters. The one-day conference was organized in collaboration with "eVa in the UK" and the Project Management Institute (PMI). It offered a first-hand opportunity for the 300 participants to exchange ideas and experience with an impressive line-up of leading project management speakers like Harley Lovegrove from the Bayard Partnership; Benita Cegarra from BJC Europe; Harvey Maylor from the Said Business School at Oxford University (who shared his recipe for bringing simplicity to complex projects); and Simon Addyman—a decorated Project Professional for his role in the successful upgrade of the London Underground's Bank Station—with a novel route for procurement. 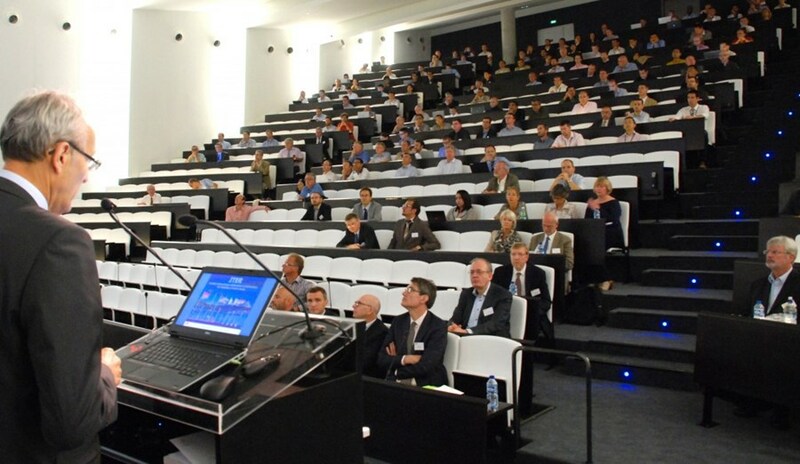 ITER Director-General Bernard Bigot welcomes participants to the first project management conference held at ITER. The conference was opened by ITER Director-General Bernard Bigot who introduced the project and its specificities to the more than 100 non-ITER participants in the audience. Asked whether he would see ITER as "project" or rather a "program" in project management parlance, the Director-General replied that it is both. "It's a project because we need to deliver a facility that suits the requirements of the world scientific community. But it also can be considered a program because of the number of stakeholders, the long timescale and the fact that we need to associate industry and laboratories." Mr Bigot's introduction was followed by an inspiring talk on the promise of fusion by Steven Cowley, Chief Executive Officer at the Atomic Energy Authority of the United Kingdom (UKAEA). According to Cowley, the fusion experiments that will take place at ITER in the future will be a defining moment in the history of the world, one that he hopes to witness first-hand from the ITER control room (see related article in this issue). Stephen Carver, senior lecturer at Cranfield University (UK), told the audience that project success comes down to good communication in his talk titled "Creating Vision with Storytelling." "People are not inspired to act by reason alone," he stressed. "That's why stories are vital for leaders. And you here at ITER have a good story to tell. A hell of a good story!" Roberto Saban, Head of Engineering from CERN, concluded the presentations by describing the evolution of project management tools and techniques at the Large Hadron Collider (LHC). According to Saban, Earned Value Management (EVM) wasn't implemented until mid-way through the project. However, it has become a part of the project management toolkit that is used by every project since that time. All presentations from the project management conference can be downloaded here.